batches then this method is best and easy, the recipe as follows..
Wash and soak idli for 3 hours and grind it using little water to a smooth batter. Then transfer the ground batter to a mixing bowl, add sifted pottukadalai maavu, red chilli powder, hing, ajwain, jeera, salt, butter and mix everything well to a soft and smooth dough. Now divide the dough into 4 big balls. Heat oil in a kadai to deep fry, then grease murukku achu with oil and fill with it with one divided ball, close it tightly. Use any desired achu/plate for making murukku(I used 3 plain dot plate as show in the pic). 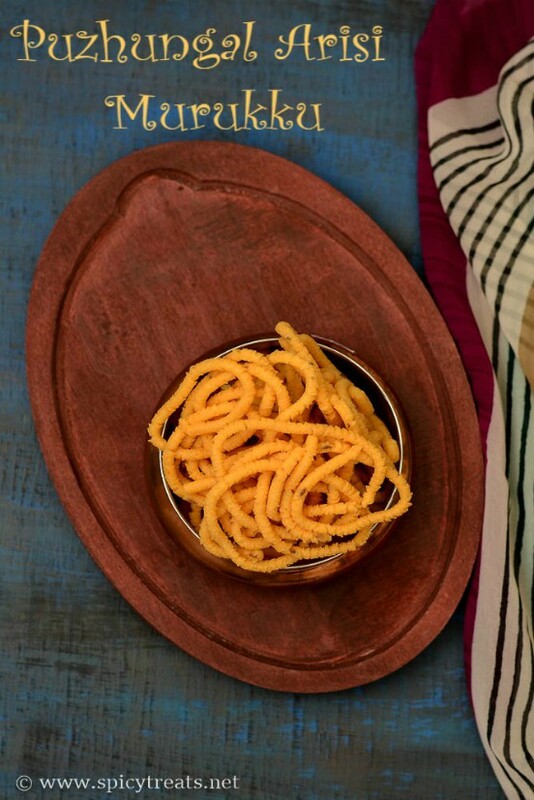 While the oil get hot, shape the dough in to greased plate or ladle and when oil gets hot, carefully drop the shaped murukku and fry in medium hot oil. 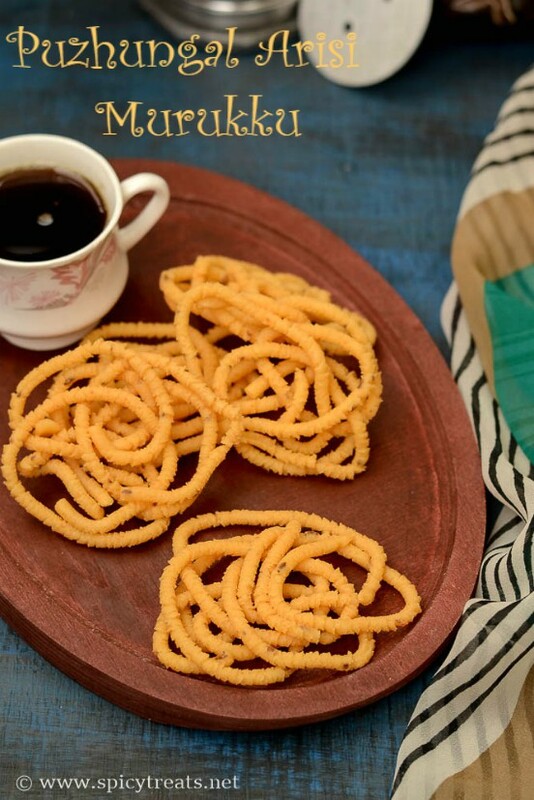 That's it...super crunchy and tasty Puzhungal Arisi Murukku ready. You can use Idli rice or Ponni Puzhungal rice too. 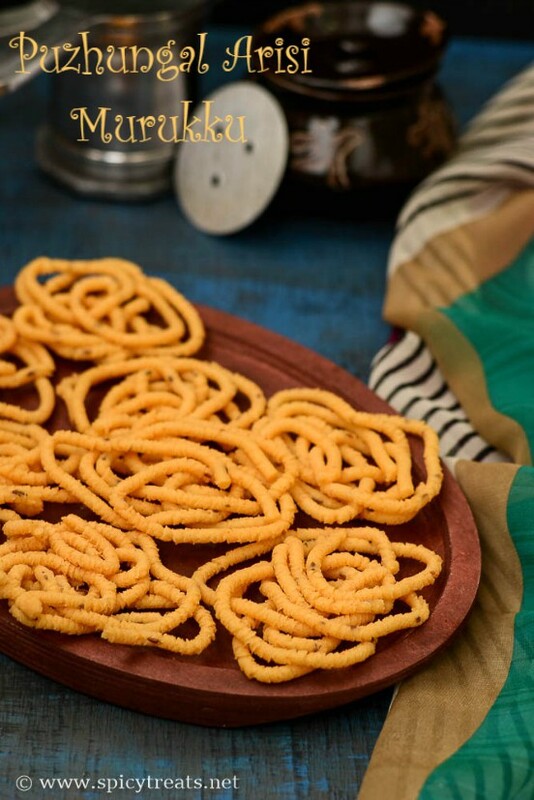 Using the same recipe you can also make thattai, for thattai you need to grind little thick along with other ingredients add channa dal and peanuts. This Murukku will look light golden color when done from oil, but after few minutes the color changes to dark golden color. I did not use any water to mix the ingredients with the ground batter, i only used water while grinding. Soak Idli rice for 3 hours, grind it to a smooth batter. 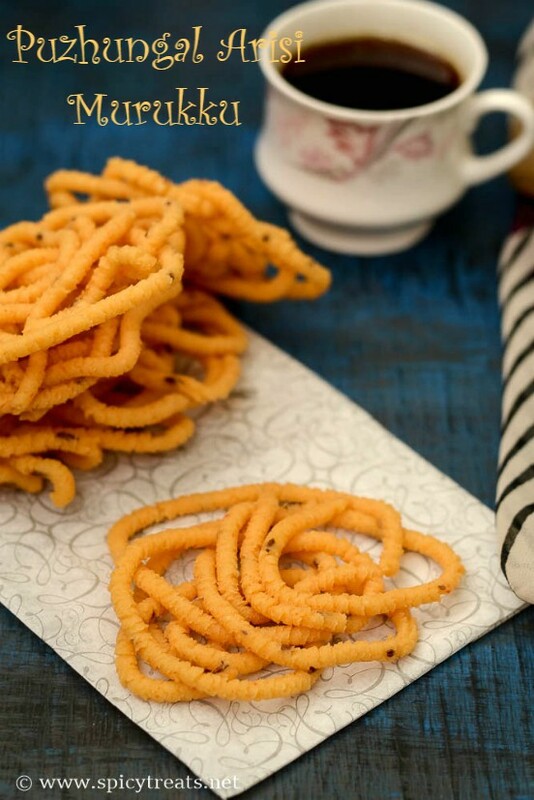 When oil is hot, carefully drop the shaped murukku and deep fry till golden brown and the hissing sound stops. 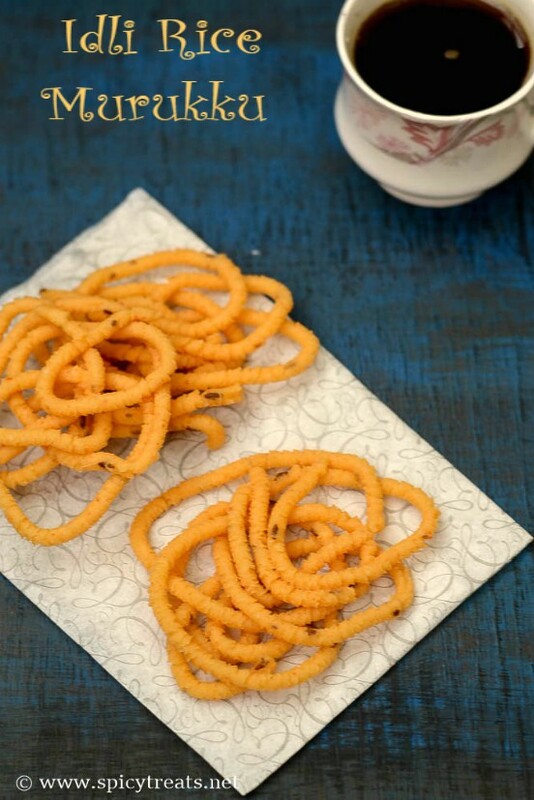 then remove the fried murukku using slotted spoon and drain it in paper towel. 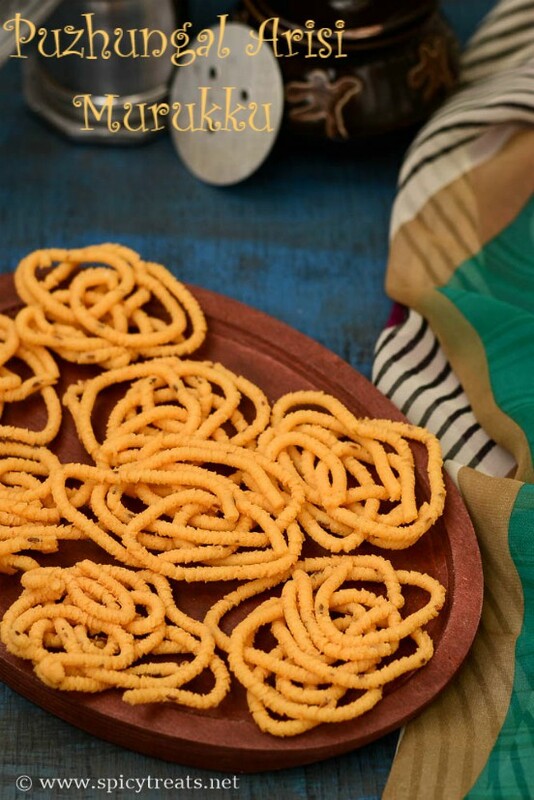 After cooling the murukku, serve or store it in an air tight container. What do you use for grinding?